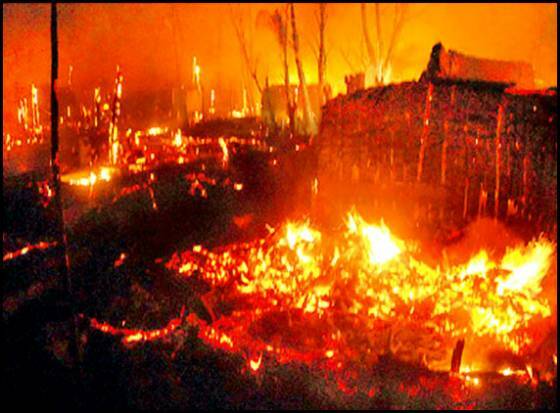 Massive fire attack on Friday in the village of Kakinada, Andhra Pradesh burned around 100 houses. And high number of injuries are expected. The fire is gerund. Number of fire engines been dispatched to bring the situation under control. The fire broke out at 5:20 PM in the evening. Till now the reason for fire broke is not ascertained. Chief Minister N.Chandrababu Naidu has instructed district officials to take stock of the situation. On Monday, a massive fire broke out in the biodiesel facility of Vizag. The Fire department men took 40 hours to douse off the flames.